If you chose to purchase the $16/mp SmartAlbums plan, which does not include Cloud Proofing, you can upgrade to a plan that includes Cloud Proofing later on at any time. To do that, simply visit the My Subscriptions page of your Pixellu Account and choose to upgrade your plan there. 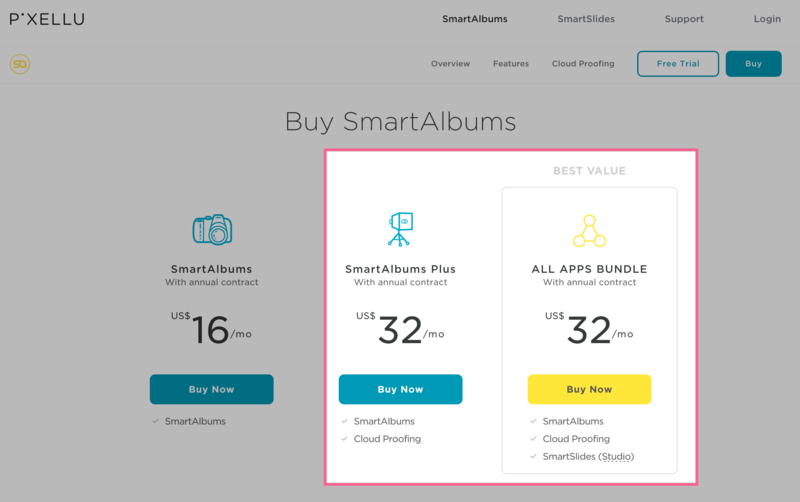 If you have purchased a lifetime SmartAlbums 2 license, you can use the Transaction Popover window to purchase Cloud Proofing (see image above). This window appears directly in SmartAlbums as you export an album to Cloud Proofing (File > Export > Export for Cloud Proofing). Note that each SmartAlbums 2 lifetime license purchase comes with 3 free Cloud Proofing album credits. This means that you may not see the Transaction Popover window appear until your 3 free credits are used. 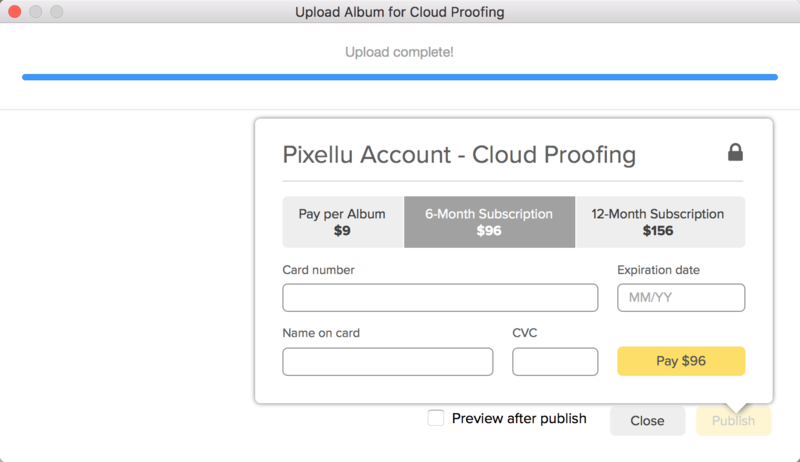 Note: The Transaction Popover window lets you purchase either a subscription to Cloud Proofing or our Pay per Album option. The Pay per Album option lets you upload albums only when you need to and additional album drafts/revisions for your purchased album can be uploaded at no cost.